Australia is a continent sized country with total urbanized area of only 0.3%. As is the case with the USA, the population is increasing as a result of natural growth and immigration. The country is blessed with a sunny climate and enough space to enable its inhabitants to enjoy a relaxed, free lifestyle. Given this, one would expect there would be little support for the higher density housing ideology of the Smart Growth advocates. Yet since the early 1990s the Australian Federal Department of Housing has been pushing exactly this approach. Sydney, located in the state of New South Wales, has been the forefront for this densification policy. Sydney (population 4.34 million) is subdivided into local municipalities, each run by a popularly elected council. Traditionally these councils have had the responsibility of planning their own areas. Over the years council zoning plans have complied with the expressed preference of over 80% of Australians to live in free-standing homes. In an effort to alter this long-standing pattern the New South Wales Government has resorted to the use of authoritarian processes to force densification, whether areas like it or not. High-density regulations from the Planning Minister come about by ministerial fiat without discussion in the State Parliament. These regulations require municipal councils to submit planning strategies to the Planning Minister that increase density, to his/her satisfaction, under threat of removal of a council’s planning powers. In a blatant conflict of interest, half of the members of the minister’s assessment panel are developers who stand to gain from the implementation strategies being assessed and the other half are bureaucrats. There is no community representation. Most councils have meekly complied with the coercive demand to submit high-density planning strategies. As a result previously attractive suburbs with their flowers and foliage are being overcome by the relentless march of grey concrete and bitumen. Bewildered long-time residents find themselves isolated amongst the drab shadows of upward-rising, smothering unit blocks. One leafy, mainly single-residential council area in the northern part of Sydney (Ku-ring-gai) insisted that the submission of their residential strategy be delayed until studies could be conducted of the effects of the resulting higher density on infrastructure, traffic, the environment and heritage. This cheekiness was dealt with savagely. Its traditional planning powers have been taken away and given to a planning panel appointed by the Planning Minister. This planning panel organised a plan that will increase the population density of the municipality by some 50%. The plan proposes that the traditional village centres and numerous surrounding homes in the area be replaced by massive high-rise tower developments, many spreading deep into surrounding residential streets. In a token show of democracy the panel arranged for a public consultation meeting on the draft plan. During the meeting, resident after resident excoriated the high-density plan as grossly excessive, defiant of independent studies and contemptuous of environmental and heritage constraints. Speaker after speaker denounced the panel's processes – as “failures of transparency and due process”, “patronising and condescending of community concerns”, “pandering to developer interests”, being “part of a process to impose a policy that was not in the greater public interest” and a “sham”. The panel ended the meeting when only half of those who registered to speak had done so. Despite tumultuous scenes of uproar, the planning panel resolved to adopt the high-density plan. One would think that such dictatorial impositions on a community could be warranted only by indisputably being in the wider public interest. The Planning Department has attempted to justify its stance by alleging benefits for the greater public good. Chief among these are claims that high density is better for the environment and that the policy saves on infrastructure cost. In Australia the evidence points to the contrary. On the question of greenhouse gas emissions, a recent study which allocates greenhouse gas emissions to final consumption at the household level1 shows that on average per person emissions in the high-density inner city areas are nearly twice that in the outer low density areas. Another study shows that there are more greenhouse emissions from domestic energy use in high-density living (5.4t/person/year) than in detached dwellings (2.9t/peson/year)2. This results from lifts, clothes dryers, air-conditioners and common lighted areas such as parking garages and foyers. What is more, the energy required to construct high-rise is nearly five times the energy needed to build single-residential, per resident. In Australia high density hardly reduces travel intensity at all. Research on Melbourne areas shows that the people squeezed into newly converted dense areas did not use public transport to any greater extent than before and there was little or no change in their percentage of car use3. There is not nearly enough difference in the greenhouse gas emissions of public versus private transport to counter the increased emissions of high-density dwelling. Greenhouse gas emission per passenger km on the Sydney rail network is 105 gm. The figure for the average car is 155 gm - but for modern fuel efficient vehicles is as low as 70 gm. The effect of high density policies on the cost of housing has been devastating to the younger generation. In attempting to force people into higher density on existing land, the authorities have drastically cut down the supply of new land for housing. This has resulted in the cost of land now comprising 70% of the cost of a place to stay, instead of the traditional 30%. 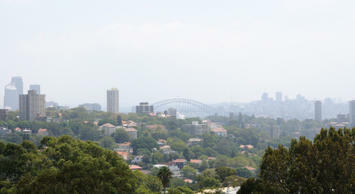 A new dwelling on Sydney’s outskirts should cost about $A210,000 ($U168,000) but is actually more than $A500,000. Besides ostensible “green” ideology, perhaps the powerful driver for high-density policies lies with the resulting opportunities for infill developers to make huge profits. Over the last five years, the ruling New South Wales Labor Party received donations from the development industry of $A9 million while the opposition party netted $A5 million. These donations exceeded the total contributions for all political parties over the same period from the gambling, tobacco, alcohol, hotel, pharmaceutical and armaments industries combined7. The political donations gain donors favoured access to government. This inevitably results in policies sympathetic to them, which in turn result in more profits and more donations. Other Australian states also have implemented high-density policies but not to the degree of New South Wales. Recently in Victoria8 and in Western Australia9 carefully couched announcements have revealed that policies are moving away from excessive high-density. Mistaken ideology and financial rewards to a minority have made high-density an enduring feature of New South Wales planning policy. The results are not pretty: more greenhouse gases, high traffic densities, worse health outcomes, a creaking and overloaded infrastructure, a whole generation locked out of owning their own home and business fleeing the state for the greener, less congested pastures elsewhere. "One example of these “forgotten” costs – the augmentation of electricity supplies in downtown Sydney, necessitated by 4900 additional apartments, will eventually cost $A429 million ($US340 million) – or $A80,000 per new apartment"
The increase in electricity costs is not due to the new apartments, it stems from the NSW Government decision to ensure a higher standard of electricity security. Currently when one point of the network fails, the system will still work. Two points fail, the system fails. After the augmentation, if two points fail, the system still works. If three points fail, the system fails. And too many un-referenced "facts". "What is more, the energy required to construct high-rise is nearly five times the energy needed to build single-residential, per resident." Per resident? Per dwelling? What about energy use over the lifetime of the building? Where is the data to back this? "The cost of commercial land in Sydney has also rocketed out of control. Employers take their business elsewhere. Back in 2000, the New South Wales proportion of the national economy was 35%. This has now plunged to barely 30%.5 The proportion of bankruptcies has increased from 25% to 38%.6"
Article headlines for reference 5 and 6? You leave it near impossible to fact check. Do these articles support the correlation between commercial land values and the weakness of the NSW economy? What about other factors? I don't agree with his central message, but Dr Recsei has an argument to make and would be better served by an argument properly made. Submitted by Tony Recsei on Thu, 07/23/2009 - 00:27. It is neither desirable nor possible in a general article of this nature to go into the detail that characterizes articles written for specialist academic journals. Information on the EnergyAustralia website on 2 June 2008 stated that the City West cable tunnel is part of a $429 million CBD electricity upgrade, mainly due to an additional 4900 apartments. However after I presented this information to the Minister of Planning in late November 2008 it disappeared from the EnergyAustralia website so I am unable to quote a web address. It is interesting to note that this year EnergyAustralia has increased its charges by 21.7%. An analysis of the embodied energy of office buildings by height, G.J. Treloar, R. Fay, B. Ilozor, P.E.D. Love; Journal: Facilities; ISSN: 0263-2772; May 2001 Volume: 19 Issue: 5/6 Page: 204 – 214. The article referred to in reference 5 is: On the way down: NSW becomes the pauper state and the article referred to in reference 6 is: Big earners suffer as bankruptcy snowballs, both by Jacob Saulwick. The cost of commercial land was referred to in the Australian Financial Review 8 August 2006 quoting CB Richard Ellis. I should point out that the onus is on the high-density protagonists who force their policies onto unwilling communities to prove that this is more sustainable and for the greater public good. The onus is not on me to prove it is not so. In spite of many challenges they have completely failed to provide any credible rationale for their impositions. Submitted by wes on Mon, 07/20/2009 - 13:54. What's the difference between forced low density and forced high density? Should a democratically aligned (NIMBY) neighborhood group be able to take away the rights of private developers and land holders? Submitted by Anthony Meaney on Tue, 07/21/2009 - 20:41. Slightly confused is very confused.Developers already have had more rights than mere residents. "Donations" from developers enable easy access to Ministers and Government,particularly in NSW under the State Labor Government.Residents are lucky to get a reply from Ministers. Under the Greiner Liberal Government,developers had more rights of appeal, under the draconian Dual Occupancy legislation, than affected residents in single residential zoned areas.Affected residents were hence denied Natural Justice. Developers are able to sit on Planning Panels, whereas residents are not. Developers are able to form phony planning bodies, which are in effect Developers Unions.Residents are upfront on their association's aims. Mere residents would settle for equal rights with Developers. Submitted by Rick Harrison on Mon, 07/20/2009 - 08:21. There are many types of land developers, but for the purpose of this responce, I'll break it down to two types; the developer who wants to leave a legacy building great neighborhoods, and the bean counter who's mantra is density, density, density. Unfortunately the greedy bean counter is the image that sticks in the minds of people as they form an image of a "land developer". I have been designing land developments since 1968 all throughout the USA and in many countries, and can say without hesitation, that when you sardine families in claustrophobic environments, the resulting development must rely entirely on brilliant architectural and landscaping elements to maintain a degree of livability. And this level of "character building" infrastructure takes a lot of money to pull-off, thus affordability goes down the drain. Unfortunately the bean counter developer is likely to find short cuts from the initial beautiful renderings convincing those at the presentations to back up the project, to the finished development. The city is left with a "project" that might soon be slated for re-development. That is the first problem with over densifying. In urban areas, redevelopment might not be economically feasible. Almost a decade ago, in a neighborhing city, I visited a new "urban" redevelopment project that seemed lifeless and unsuccessful. The city had bought out the existing single family area (that was not downtrodden) to build a vibrant (so they thought) high density neighborhood with multi-family and walkable scale commercial. These existing single family homes would have been worth at least $250,000 each at about 4 homes per acre. So in other words at a million dollars an acre for raw land, residential was going to replace residential and some commercial. The numbers simply did not add up. About 1/2 of the land was residential. The high density townhomes were quite expensive to make the "numbers" work. In other words, the townhomes were more expensive than single family homes in the area per square foot. A single family home overlooked open green areas, the townhome overlooked paved areas. Affordability was out of the question. In the suburbs land is cheap (maybe). With the economic calamity the world is facing, land may be at a new lower value, but one thing remains relative... the higher the density, the more land is valued. The way this works in a suburban city that is beginning to grow can be explained as follows: The initial development is likely to be low density, say for example, 2 homes per acre. The 100 acre farm field owned by the Jones Family is now known as the 200 lot "Summerview Village". The Jones sold their land at an affordable $10,000 per acre to influence a developer to invest so far out. This sets a price point expectation for the next farmer. Those that sit on the city council are typically conflicted and confused. Some want their city to remain rural in nature, others are concerned with sprawl and are influenced by articles and agencies demanding density (solving social issues) and are pressured to vote in favor for higher density. They rezone the surrounding land and slate it for 10 units per acre. The adjacent Smith Farm and the Havershamper Farm families are no dummies, and can figure out that 10 units per acre is worth a whole lot more than 2 units per acre. They price their land at $50,000 an acre. The density hungry bean counter developer hears the sweet sound of 10 units per acre and jumps right in. The Smart Growth images and renderings on the documentation that those on the Council viewed to influence their density choice will have no meaning to the bean counter developer. The resulting 10 homes per acre development is not likely to look anything like the promises shown on the renderings, nor will the livability goals likley be delivered. The prospect of a great "legacy" land developer choosing to go way out to develop high density in the suburbs and fund all of the character building architecture and landscaping is unlikely. The resulting project is a blemish on the city and sets the image for other bean counter developers to follow. Soon garages and parked cars define the streetscapes, an image made worse at higher densities. Now that the land is set at a new higher price point because of the "yield" a developer can get out of it, the city might find itself in a tough situation. Is lowering density from a previously zoned higher density considered a "taking" of value from a land owners property? After over 40 years in this business, these are just some observations. Submitted by Roger.Miller on Sun, 07/19/2009 - 18:51. I welcome and support Dr Recsci. His thoughtful article adequately covers the ground. However, as someone who made a small submission to the planning committee, I wish to comment on the damage that is being done to our country's democratic processes by the State Government's overriding planning processes that have been invoked here without proper justification. I might say my own submission seemed only to result in three pages of public service jargon in a form letter which was, and designed to be, completely uninformative. It was a masterpiece in obfuscation. My point is this: Our system of government, both in written law and historic convention, recognizes that decisions on issues fall naturally and optimally at one of the three levels of government. Obviously national defense is at national level; a local road is at suburban level. This is one of the great wisdoms of our governmental system. We can't take the credit for inventing that system but, until recently, we were smart enough to respect and foster it. Deciding on the character of a local area, from a planning perspective, has always been decided at local level because you are most likely to get the best result at that level. This has ensured diversity, and allowed freedom of choice for the citizen in where they and their families live. "Let a thousand flowers bloom!" Clearly there will be cases where a higher level of government has a legitimate need for input at a lower level. This is not the case with planning in the suburbs. Such over-riding powers should be executed with great reluctance and only for a clearly important reason. Is this the case in Ku-ring-gai? There is no higher National priority; the State has no legitimate higher interest. In this case, the only reason for forcing through planning measures that are obviously contrary to the wishes of residents is the greed of property developers who are prepared to do anything to make a fast dollar. They are like an impulsive child who will break a priceless vase to get a coin out of it. Though huge political donations, the have unduly influenced the state government. I am not against property development per se. Of course we must move forward, but let's do it properly. This takes good design and construction. Good development is more challenging, expensive and time-consuming. The dollars will not flow so quickly; the effort will be greater. However, we will ultimately have cities and suburbs that will ork better and that we can enjoy. We can all have choice in where we choose to live. We can pass on what we have created to our children with pride. Submitted by Jeannette on Sun, 07/19/2009 - 10:42. Planning in NSW since the Government brought in its urban consolidation policy in 1994 has focused exclusively on building. In fact, there has never been an integrated planning policy embracing infrastructure, environment and heritage as far back as I can remember. Unfortunately no Minister or bureaucrat in the Planning Department, let alone a developer, has ever allowed aesthetic or historical considerations to cloud his or her judgement when making decisions on the future of heritage areas. It was only thanks to builders' labourers led by Jack Mundey that Sydney's historic Rocks area was saved from the State Government's plans to denmolish it in the 1970s. Both aesthetic and historical as well as environmental considerations should be taken into account when looking at Ku-ring-gai's struggle to retain its unique character. Since the 1840s, Ku-ring-gai has grown out of forest and orchards into a collection of beautiful garden suburbs surrounded by National Parks. Much of its streetscapes and high quality domestic architecture has been classified as conservation areas by the National Trust, but the State Government has refused to gazette these conservation areas as this would compromise high rise development there. Of all of Sydney, Ku-ring-gai is the developer's dream because of its large blocks of land and its leafy amenity, assuring the developer a good profit. In spite of protracted efforts by residents and the local Council to protect the integrity of their suburbs, the Minister has given developers full rein, and the result is a spreading mishmash of ugly high rise blocks, attracting high prices and doing nothing to alleviate Sydney's chronic shortage of affordable housing. Australia has an unenviable tradition of pulling down 'tall poppies,' which means that nobody is allowed to stand out as better that his neighbours. Ku-ring-gai is Sydney's 'tall poppy' and is suffering the consequences of thinking that it has a right to direct its own development in order to best protect its considerable charms. It gets no support from the rest of Sydney, which is uninterested at best, and at worst is enjoying the luxury of schadenfreude at seeing this conclave of 'silvertails' getting its comeuppance. I agree with Tony Recsei that opening up more land around Sydney is a better solution to the population increase than cramming more people vertically into established suburbs. I agree that it is better for the environment to have low rise rather than high rise development. With climate change looming, it would seem wise to plan housing with backyards where chooks (poultry) can be kept and vegetables grown. A much broader concept of planning is needed for these uncertain times, involving cooperation across several government departments. Above all, planning policy should be a matter of parliamentary debate and decision, not ministerial whim. Submitted by haknox on Sun, 07/19/2009 - 07:55. Dr. Recsei’s article has exposed an outrageous level of corruption in the Australian state of New South Wales, and the major political parties are in it up to their necks. The reason very simply is that enormous commercial donations are made, virtually unregulated, to the major political parties on both sides of the political fence. Because of that, the party in power does what it likes and the opposition party effectively does nothing. Outraged protests by voters are deliberately and blatantly ignored. The people literally have no say. Both parties hypocritically claim that they will stop the practice but find all sorts of flimsy excuses for not doing so. All the politicians have to do is to stop accepting the donations, but they won’t. They need the money. The result is the most profound and barefaced corruption, at the expense of quality of life. Major sources of these donations are developers and the alcohol industry. As a result, the party in government is turning Sydney into a treeless, stifling, overcrowded slum, and binge drinking is endemic. People must take matters into their own hands. If people stop buying apartments from developers, the development problem will stop. Developers are notorious for employing inferior builders and tradesmen who take shortcuts, ignore the architects’ specifications and even regulations. So the buyers can never get value for money. The next thing is for voters to put the major parties last on their ballot papers at any election and vote for minor parties or independents. Submitted by John Ward on Sun, 07/19/2009 - 07:19. Submitted by Budgeon on Sun, 07/19/2009 - 04:57. Tony is right, central National and State Governments should not be able to force density planning decisions on elected local governments who oppose such decisions, especially when there is so much land to spare, as in Australia. If people wish to live in a local council (= local Government) zone with low density, that is their decision, if they want to live in high density, likewise their decision. We should have the freedom to choose to live in a local council zone that has the density planning laws we prefer, and not have our democratic choice over-ridden by large central governments. In Australia, many such governments, their planning bureaucrats, many planning academics and the "high-density NGO lobby" groups have managed to convince much of the population that high density really is in our own best interests and also best for the environment, when there is no evidence for these cases, and much against. Elected politicians are the representatives of the people, and their bureaucrats need to remember that they are accountable to their political masters, and are not here on earth to shape our futures according to their personal grand visions of how to create perfect society. For we all have such visions, and maybe for each of us such visions differ greatly. This is called diversity. If, for no sound reason, a society squashes diversity of thought, lifestyle and attitude, then it will lose its ability to adapt to change, even apart from the infringement on human rights that such repression causes.